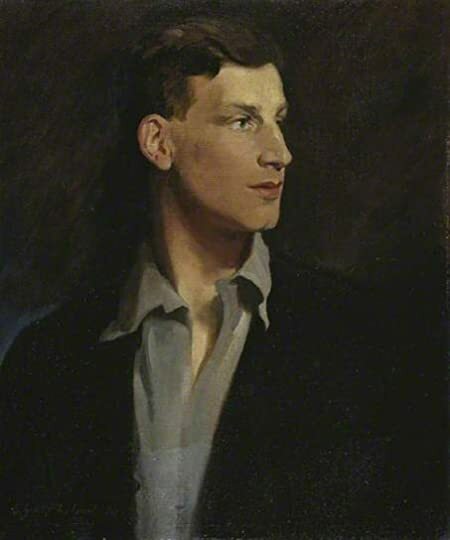 The poet Siegfried Sassoon made the decision to write his memoirs as fiction, but as I read this book, it became readily apparent that whatever was fictionalized was a marginal part compared to the pages devoted to preserving his memories of England before the hell of world war changed things forever. If truth be known, more than fame or money or prestige, I most crave to not ”be interfered with too much.” I’ve thought about trying to put my personal desire into words for many years, but until I read those words by Sassoon, I’d never really found the proper ones before. The first two thirds of this book is devoted to fox-hunting, horse racing, cricket matches, reading, gazing longingly at young men he admired, and enjoying what would turn out to be the last few years of a naivety that England would never be able to reclaim. These memories of halcyon days sustain Sassoon as he fights the mud, the Germans, and the creeping fear of insanity. There has to be a thought, a niggling belief, that if he survives the war that he can return to those days when his most pressing concern was the color of his hunting jacket or the fit of a new pair of boots. There are reviewers/readers who find this section of the book tedious because they are unable to associate themselves with fox-hunting or cricket or a seemingly aimless life, but knowing what awaits Sassoon over the very next horizon certainly gives me perspective on why he wants to capture his memories of this time in print. 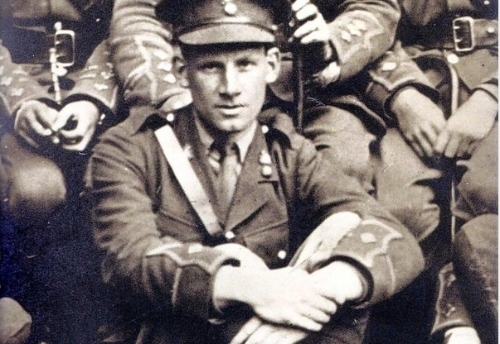 It establishes not only what he loses, but similar stories can be told of many of the officers summoned to fight in the war that was supposed to end all wars. His sensitivity, that would later plague him in war but make him an excellent poet, is also apparent by an utterance that he makes during his first fox hunt. ””Don’t do that; they’ll catch him!’ I exclaimed.” He is referring to the fox and to someone about to alert the other riders and dogs to the proper direction taken by the fox. Of course, this statement is baffling to the rest of the field. Sherston is not there to catch the fox. He is there to enjoy the ride, the jumping of fences, and the comradery of men intent on the same purpose. Sassoon/Sherston is just beginning to get a glimmering of what he wants to do with the rest of his life. It will all be compressed very shortly when he finds himself among the bombs, blood, and horror of war. When you believe you will die at any moment, long term life goals become irrelevant, even painful to contemplate. Of course, when war breaks out, George Sherston does his duty, as do most young men of English descent. He volunteers. Given his level of education and pedigree, he begins life in the military as a second lieutenant. He lands a cushy job directing matters of transportation that keeps him out of the trenches. Messages start coming in of friends who have been killed, but these are abstract thoughts, like hearing about a natural disaster that happened two thousand miles away. The war is a shock for men on many levels. Discovering that you are expendable. That you are just a faceless number, a cog in a wheel of a grinding machine. You might be the apple in the eye of your family, but in the military, you are a sacrifice to send into No Man’s Land, into the teeth of machine gun fire. The way men are recklessly expended in World War One is frankly criminal. War crime trials should be held for the victors as well as the losers. I’m going to continue on with book two in the trilogy, Memoirs of an Infantry Officer. The writing is mostly rather light for Memoirs of a Fox-Hunting Man. I have a feeling the tone will change for the second book. Hopefully, the Whizz-Bangs will fly high and wide.